It’s on its way! 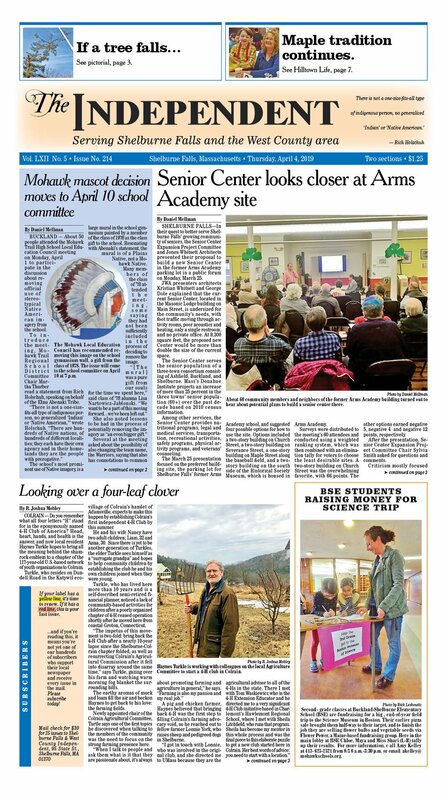 This week’s Independent features the story of a tree, happy maple breakfasters, more about the Mohawk mascot and the Shelburne Senior Center, interesting thoughts from our amazing columnists — and more! Winging its way to your mailboxes and newsstand shelves this afternoon.